Roy in the Pawnee at dusk on the penultimate Friday Evening Group gathering - so next week is our last one. So, to all our friends -in fact anyone - turn up, get your "night" rating and join us for a curry afterwards. Sunday saw the Vintage Group get their toys out to play with. 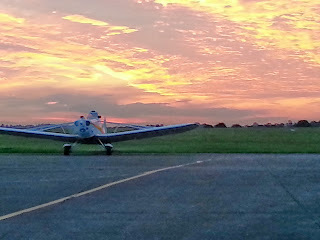 The skies were then graced with the delightful sights (and sounds!) of beautifully crafted and maintained wood and fabric gliders through the day. If anyone has any photos of the event can they please share them. 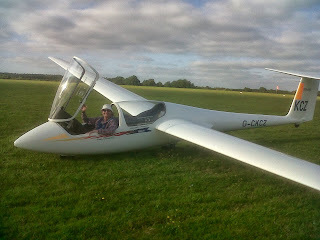 Later in the day we also had a first solo by Andrew Whitten in the K21 - his height prevents him from fitting any other glider. Andrew started on a course about a year ago and was so taken by the whole experience that he continued with top ups and then joined the club earlier this year. Congratulations on his achievement. You may have noticed that it was rather wet on Friday evening, which was a bit of a nuisance because the Sales and Marketing Team were on a mission to go over to the Henley Showground and set up our stand for the Henley Show on Saturday. It was spitting when we left Booker, later on the rain got a bit heavier, but we maintained our sense of humour to the last. In the morning we gave the Junior the first of several cleans, and the day - and the display - steadily dried out. 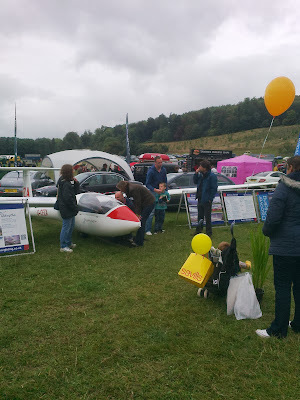 We were in an excellent position and entertained many visitors, including the inevitable queue of small children wanting to sit in the glider. We made some sales and talked to lots of people, and we are confident that we will see some of them at the launchpoint. All in all a very successful outing. And the Junior is now cleaner than it's been for months. 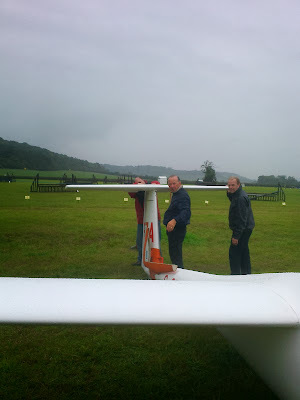 Many thanks to David Humphreys, Chris Collett and Symeon Economou for getting very wet in the service of the club, and to them, Bob Smith, Hedda Coture and Ruth Jackson for working hard on Saturday. Ruth is new to the team and she commented on how much fun it was talking to so many people and how she was pleased to be able to contribute her efforts to building the club. The comp format proved very popular with club members, there was a good sized grid every flyable day, and everyone seemed to have a good time. 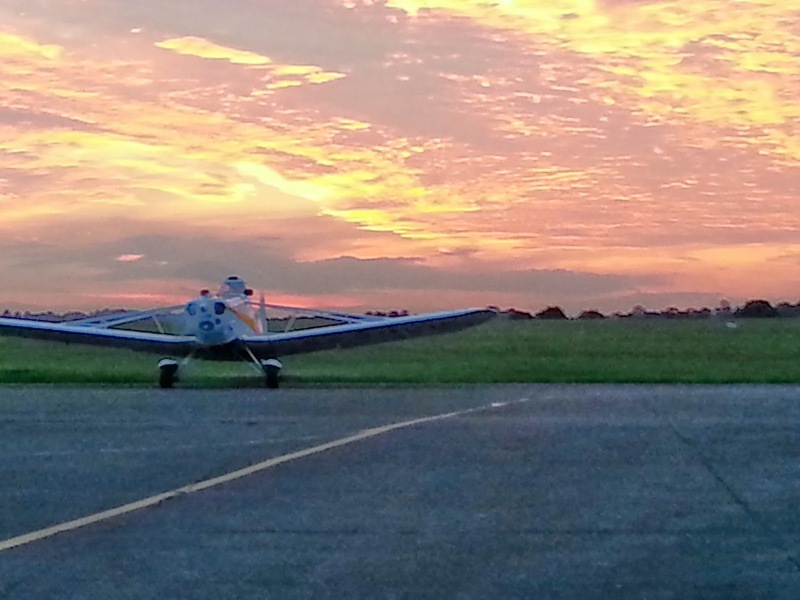 On to the next event: the Bronze course running 16-20 Sept offers members discounted launches and motor glider time, plus a dedicated instructor for the week, to help towards achieving Bronze. Excellent value at £399, ask the office for more details of the offer.